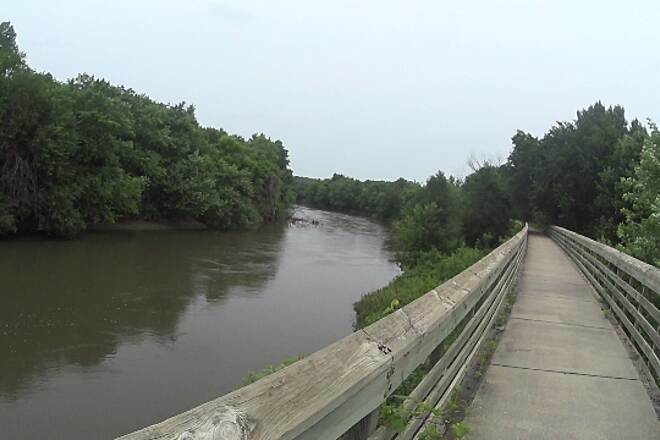 On the western outskirts of Des Moines, the Raccoon River Valley Trail offers a quintessential central Iowa experience. 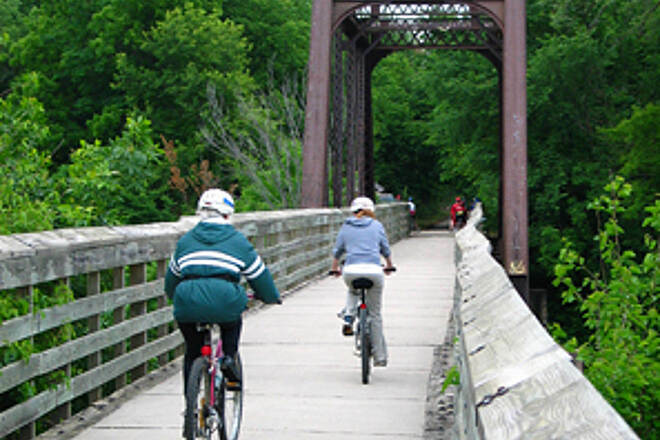 Over its nearly 90-mile span, you’ll traverse wooded, prairie, and agricultural landscapes. 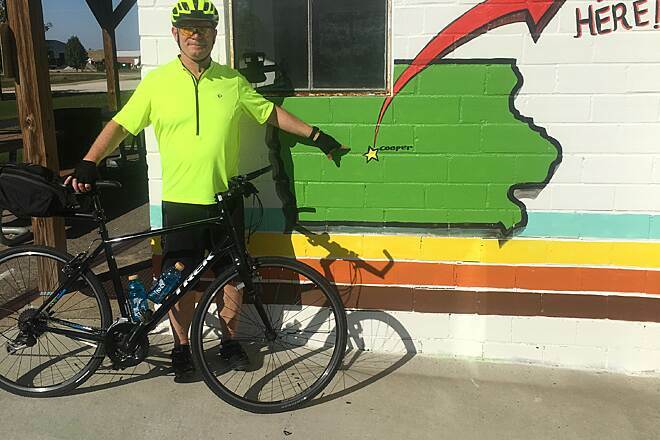 The route forms a loop through several rural communities with a long tail coming off the loop on its northern end that heads to Jefferson, and another tail on its southern end that rolls out toward Des Moines. 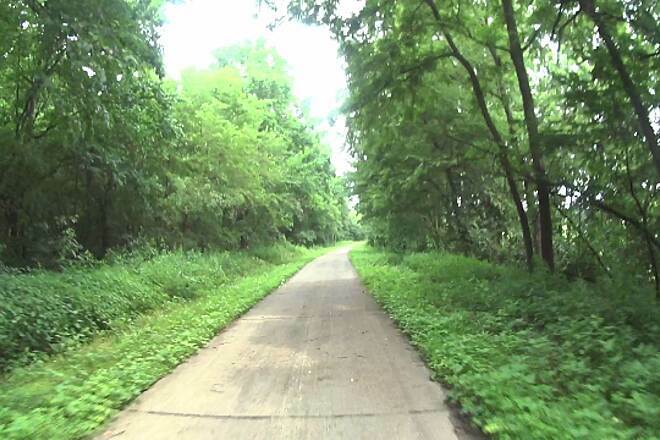 The Raccoon River Valley Trail runs along a former railroad right-of-way that was first built in the 1870s to carry rail traffic between Des Moines and the Great Lakes region. Fully paved and with a level grade typical of a rail-trail, it’s an easy walk or ride, though you may wish to conquer the trail over the course of multiple days due to its size. 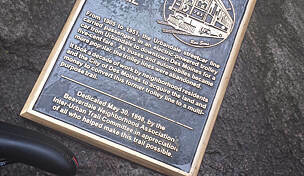 Note that using the trail requires a $2 daily fee for individuals age 18 and older. All proceeds go to the conservation boards in the counties through which the trail passes, and the money is used for trail maintenance and improvements. 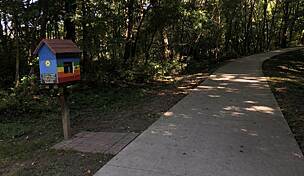 Look for the payment drop boxes at the trailheads. 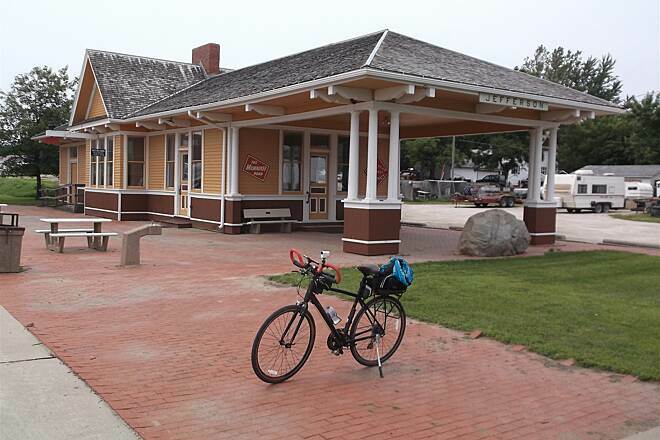 At the northern trailhead in Jefferson, you’ll be greeted by a former Milwaukee Road depot painted a cheerful yellow. Although the building is open only for special occasions, ample parking is available here, and a drinking fountain can be found outside to fill up your water bottles for the journey. From the depot, you’ll head south past country homes for a few blocks until the trail dives under a shady tree canopy. 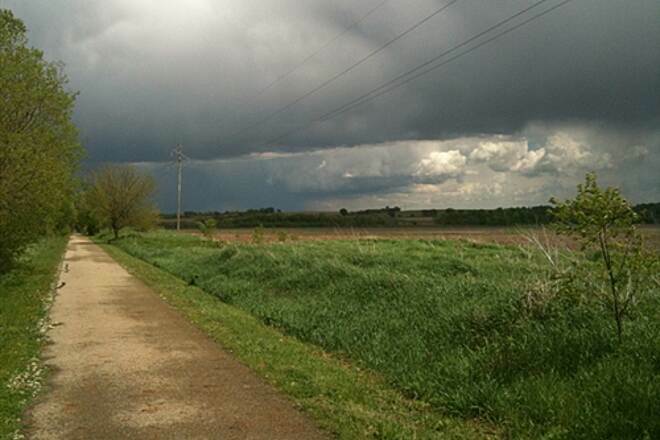 The trail opens up to farmland as it approaches the old railroad town of Cooper at mile 7. Come in the summer, and you’ll see a plethora of grasshoppers darting across the pathway. 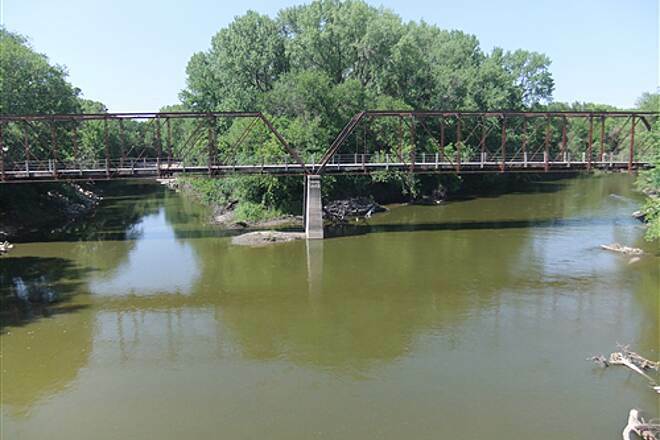 A highlight of this section is the 600-foot-long trestle bridge over the North Raccoon River. From Cooper, it’s 5 miles to Herndon, where you’ll come to your first trail junction. This is where the loop portion of the route begins. Turn left to travel east to the towns of Jamaica, Dawson, and Perry, or continue your southward momentum to the towns of Yale and Panora. If you choose the eastern leg, you’ll pedal through peaceful, picturesque terrain: farm fields and wildflower meadows interspersed with copses of trees. To either side of the trail, the brushy embankments are also bustling with birds. 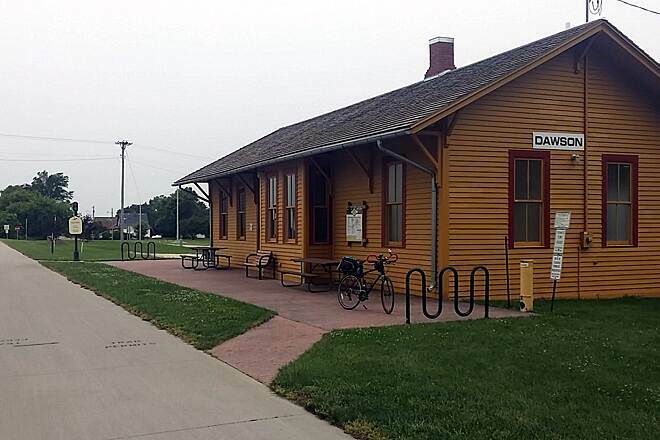 After 7 miles, you’ll see another depot (circa 1889) sitting trailside in Dawson. 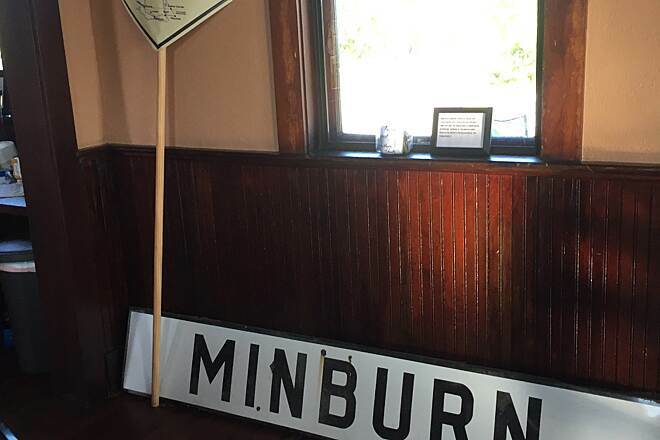 Peek inside at the displays of railroad history and the old baggage room. Here, you’ll also find restrooms and drinking water. In another 6 miles, you’ll come to Perry, one of the larger towns along the route. The community truly embraces the trail, and in the windows of many businesses are signs welcoming trail visitors. 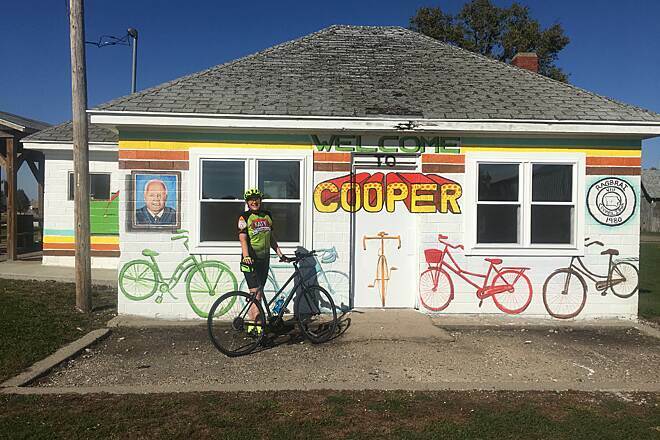 You’ll pass a self-service bicycle- repair station as you enter the town, which also has a refurbished depot with restrooms, drinking water, and a covered picnic table. Restaurants and lodging are plentiful here. From Perry, your trajectory turns southeast as you roll through the small farming town of Minburn and then Dallas Center a few miles later. In Waukee, you arrive at your second trail juncture. 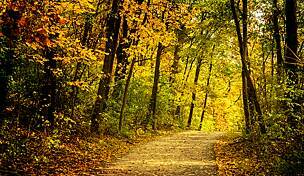 You can finish your day’s journey by taking the short trail segment east along US 6 (Hickman Road) to the trail’s end in Clive. 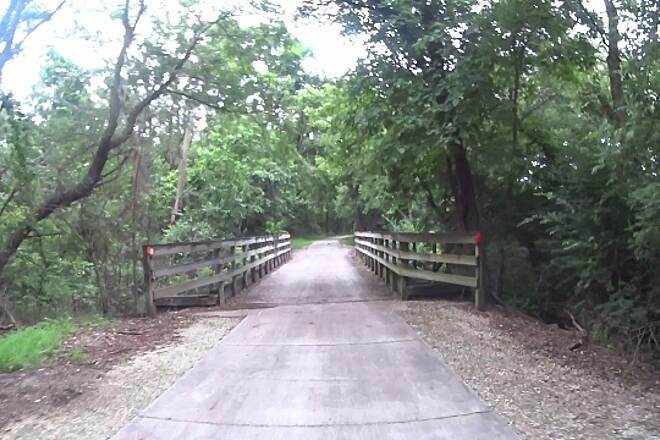 If you’re not done riding yet, pass under US 6 to seamlessly pick up the Clive Greenbelt Trail, which will take you through the West Des Moines suburbs. 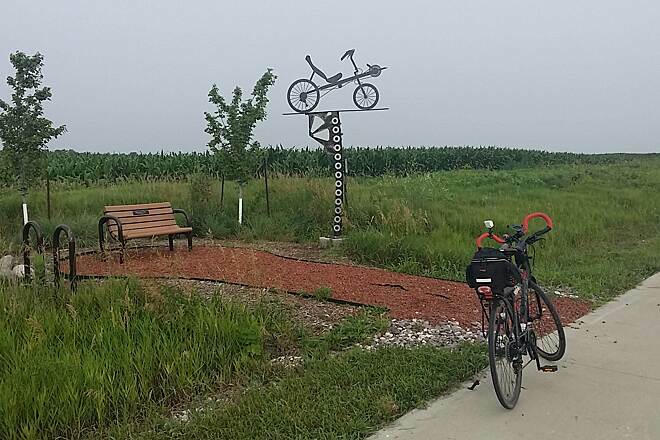 To stay on the Raccoon River Valley Trail, in Waukee, pivot west to continue on the trail’s loop toward Adel. From Adel, you’ll pedal through Redfield, Linden (named for its many linden trees), and Panora in relatively quick succession. At Panora, you’ll pass a lovely trailside garden and a covered shelter with railroad signage and a small section of track. The trail turns north here, and you’ll have 6 miles to go before reaching Yale, where you’ll pass by a massive grain silo, as well as a city park with restrooms and water. You’re on the homestretch now with 5 miles to go before reaching Herndon, the site of your first trail junction. 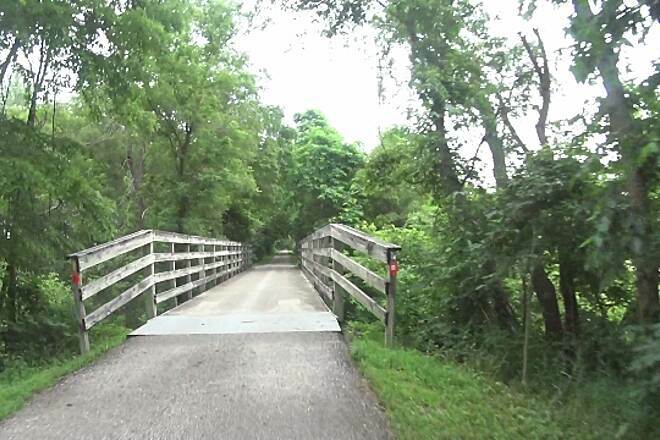 Upon arrival, you’ll have experienced the entirety of the Raccoon River Valley Trail. 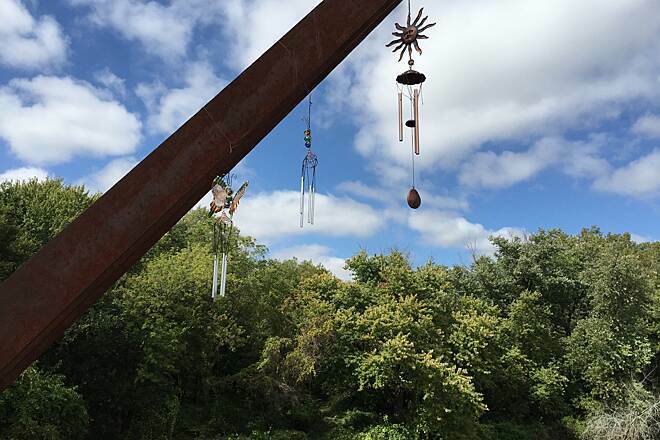 In 2018, the first section of an exciting new project to connect the Raccoon River Valley Trail to the stunning High Trestle Trail opened. The 1.5-mile connector begins in Perry. Eventually, this "Let's Connect Trail Project" will stretch to Woodward to meet the HTT. At the northern end of the trail in Jefferson, parking is available at the restored depot. From downtown Des Moines, take I-35 north for about 28 miles to Exit 111B for US 30 W (toward Ames). Head west about 41 miles to Jefferson, and turn left onto SR 4 (N. Elm St.). Go 1.3 miles, and turn left onto E. Lincolnway St. Travel seven blocks east to the parking lot, which is to your right just after you pass the depot. 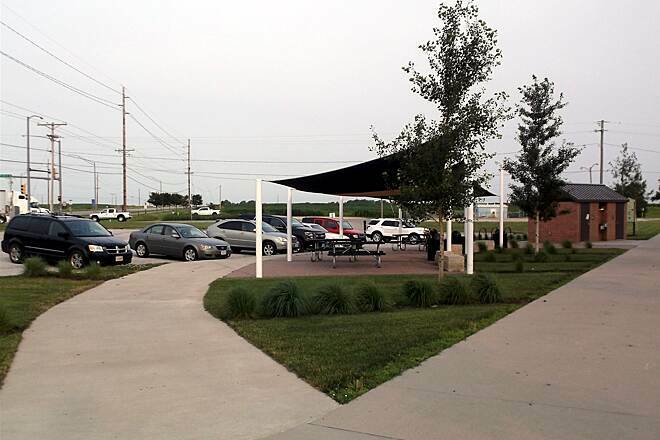 In Waukee, on the southern end of the trail, you can park at the intersection of US 6 (Hickman Road) and Ashworth Drive/N. 10th St. From I-80 westbound, take Exit 117 for Waukee. Turn right (north) onto County Road R22 (which becomes Sixth St.), and go 3.5 miles to Ashworth Drive. Turn left onto Ashworth Drive, and follow it for a half mile to the trail parking lot, which is located to your right and left just after you cross US 6. The trail’s eastern endpoint is located about 4.8 miles east. After passing Woodlands Pkwy., the trail heads south underneath US 6/Hickman Road to its starting point just west of NW 128th St. and just north of Pineview Drive. 95% of this ride is smooth riding. It is rough from Yale to Jefferson. Whoever repaired this part of the trail should be forced to get on a bike and ride it. This should be repaired ASAP. Now for the rest of the ride, we LOVED IT! We ate lunch in the town of Perry at David's Milwaukee Diner. The food was good, the service great, prices fair and most of all ... Air Conditioning. We stopped in the town of Dallas Center and ate ice cream at the Korner Kone Ice Cream and Deli, which is right off the trail about 150 ft away. AC was great. It might seem we are in need of AC a lot, but the heat index was almost 100% during our ride. We didn't see the reported Mountain Lion (LOL) but we saw deer, geese, rabbits, grass hoppers, birds and even a mouse walking on the trail. I was so glad I brought two 24 oz bottles of drink, I think a third bottle would have been better. We crossed paths with about 15 different riders on the loop, and all were friendly. One person had a Bluetooth speaker playing their music, which is NOT a bother at all. Really, in passing it is only for a few seconds. So I upgrade the riders in IOWA to very polite and trail friendly over one interview here. Summary: You need to ride this trail if you get the chance. I drove 600 miles to do it, and i am glad I did! My wife and I rode the entire trail over two days. We rode from Waukee to Jefferson going through Perry on Day 1. All total, with a little bit extra riding in Perry, we rode 46.5 miles. The trail from Waukee to Herndon is all concrete. You could not make it any smoother. Exquisite riding. The trail from Herndon to Jefferson is a bit rough the first couple miles, but then gets better the remaining ten miles.While the trail is not overly scenic, there are spots that are quite nice. In particular the mile on either side of the trestle bridge a few miles south of Jefferson was really nice. The trail is signed very well. There are restrooms and water frequently, and numerous benches. We made the 0.4 ride to the Forest Park Museum. If you are into history and have some time, check it out as it is quite nice.We stopped for lunch in Perry. We ate at the Mars Diner and Dairy Bar. We had great sandwiches and super ice cream. We highly recommend it. We also stopped at the Raccoon River Valley Bike Shop. The guy working was quite pleasant and helped us with a minor issue. I offered, but he didn't want payment. The shop is right next to Hotel Patee, less than a block off the trail. Besides the great service, they appeared to have a large selection of clothing and accessories for a small town shop.In Jefferson we spent the night at the Old Lincolnway Hotel. Quaint, cheap, unique, and very nice. If we ever come back, we will definitely stay there again.Day 2 started with a short walk to the Uptown Cafe. The waitress was grumpy and the food slow coming out. But the French Toast made with their homemade cinnamon bread was worth the wait.The trail between Herndon and Yale was like the couple miles north of Herndon: rough. While most of the surface is fine, the intermittent cracks were rough. Not jarring, but enough to be annoying. Especially those they had tried to fix. After getting to Yale the trail surface was good to excellent the remainder of the trip back to Waukee.We definitely saved the more scenic half of the trail for day 2. It was quite nice almost the entire ride. Much of the trail is in a "tree tunnel" and would be a shady ride on a hot day.We stopped for lunch at Harvey's in Redfield. Thus turned out to be a fabulous choice. The food was nothing short of amazing. We couldn't of had better service, including filling our water bottles. We didn't ask for that, the waitress offered. Every trip on the RRVT should include a stop at Harvey's. With a short detour to Hanging Rock park in Redfield we totalled 53.5 miles on Day 2. The RRVT is a great trail and we highly recommend it. Had a great ride today. The trail is great and you can see that they have put a ton of resources into both the RRVT and the High Trestle Trail. In all our travels I don't thing I have seen as well maintained trail or facilities. 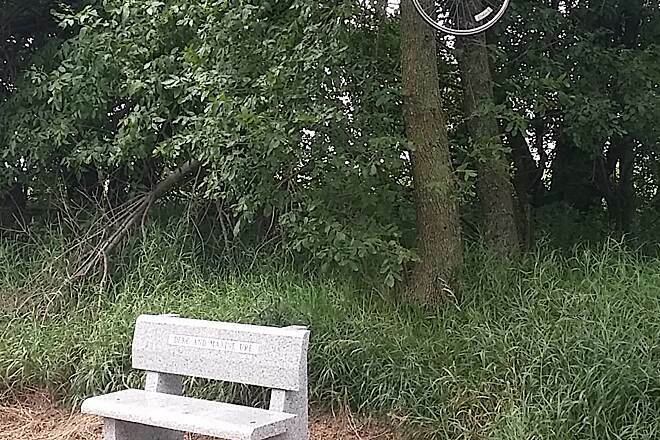 But the trail etiquette of Iowa trail users leaves much to be desired. Every 4th person going down the trail had their personal music system blasting out whatever was their personal favorite tunes and making sure everyone within 100 yards also heard it. Riding 2 and even 3 wide and not slipping into single file when meeting other groups. Stopping on the trail and then sitting there blocking most of the trail while figuring out what their problem was. We have ridden a bunch of trails in a bunch states and we seek them out as we travel. For a state with so many great trails and the history of the RAGBRI you can do better IA. Your trail etiquette is atrocious. 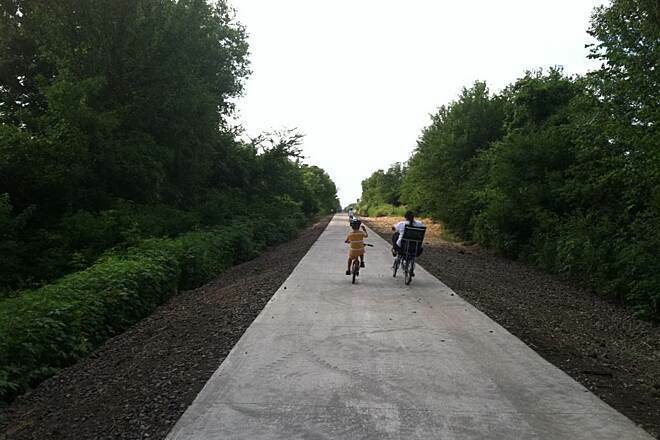 The Raccoon River Valley Trail is a great trail for fun family rides with a couple of exceptions. 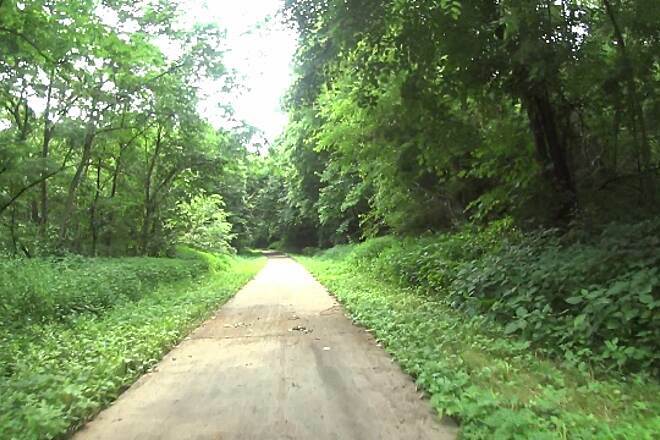 The Greene County portion of the trail is rough and in much need of repair and hunting is allowed during biking and walking. On nice fall/winter biking days you may encounter hunters that are purposefully trying to cause bikes to wreck by allowing their dogs to attack riders. The Greene County Sheriff's department is hopeful that no one gets shot. I would caution riding in Greene county during hunting seasons. We just finished a 2 day event on this trail and despite the heat and wind, had a great time. This was the first year for the Pedaler's Jamboree in Iowa. The total ride was 99 miles and there was live music playing at all the towns along the way. We will definitely go back again next year. 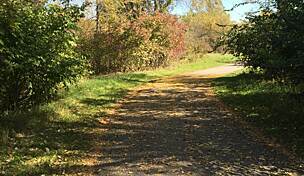 The trail is completely paved and most of it is very smooth and well maintained. I like the fact that it is a loop so we didn't have to back track. There are also campgrounds and restaurants on the trail or within easy access. I rode from Perry to Jamaica and back on a sunny Sunday afternoon. Nearly every cyclist spoke and said hello, there was only one solitary rider with headphones that failed the friendly greeting. It was a free day so we didn't even have too pay the paltry $2 trail fee which I put in the box anyway. What a nice trail and a great palce to be. I decided to do the complete trail. ...and then some. I started at 7 am at the Waukee trailhead. I saw on the map that the trail extends east for a few miles, to Clive, so I used that stretch as a warm up as it was a bit chilly out. Once I had got about 8 miles in and back, and was once again at the Waukee trailhead and my van, I ditched the warm up clothes and headed on into the main trail. It really is quiet nice. The entire trail is paved, and on the main loop, so are many of the country road crossings! Just this is enough to bring me back. 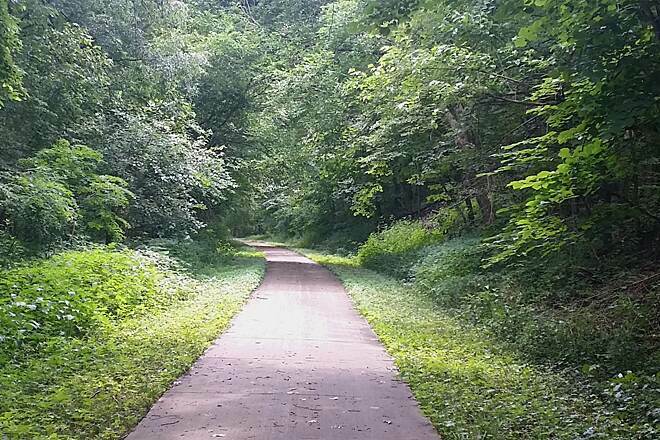 As all other rail trails, there are gradual slopes. After getting to Jamaica I hit the T in the trail, and headed north, clear to Jefferson. That section is a bit more out in the open, but is very nice also. The only reason I might not ride that section again real soon is that there are a lot of cracks that have been filled, but the filling is now sunk in, and many other cracks that need filling, and despite the nice scenery, it was just too bumpy for me to be fun. It was nice doing it the once tho. I had an y time finding a Casey's gas station just a few blocks west of the Jefferson trailhead, and took my food back to the Jefferson trailhead to eat. I left Jefferson, and got back to the T in the trail, and headed south this time, to complete the loop. Once I was south of the T, the trail wasn't as bumpy again. 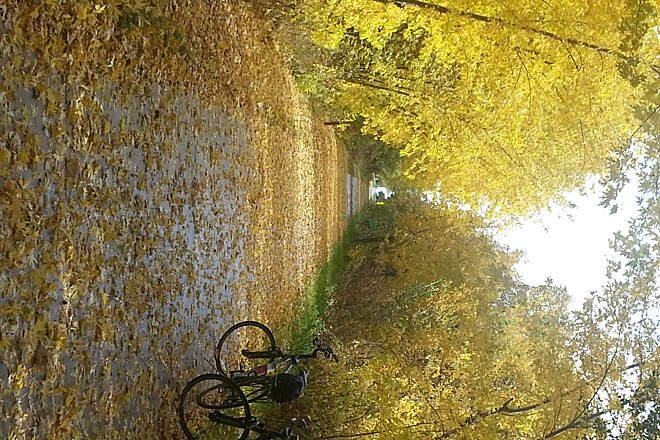 It is nice trail, but neither me, nor my bike, care for constant bumpy when I am out there having fun. From there, all along the southern loop, all the way back to Waukee was nice again. 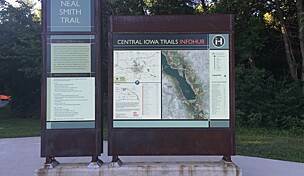 Once I hit the Waukee trailhead, I had done a bit over 103 miles, so it is a long ride. Next time, I will probably just ride the main loop, and not include the northern part above Jamaica, simply due to the number of miles, and the bumps. It looks like blacktop, not concrete there, and its the blacktop that is suffering some. Overall, it really is a nice trail....all paved, and except for the northern stretch, very smooth. I cannot recall any town along the trail that didn't have at least some kind of rest stop. I'll include some pics to. We rode the entire 70+ loop. Small towns were wonderful, people were friendly, and scenery simply fantastic. 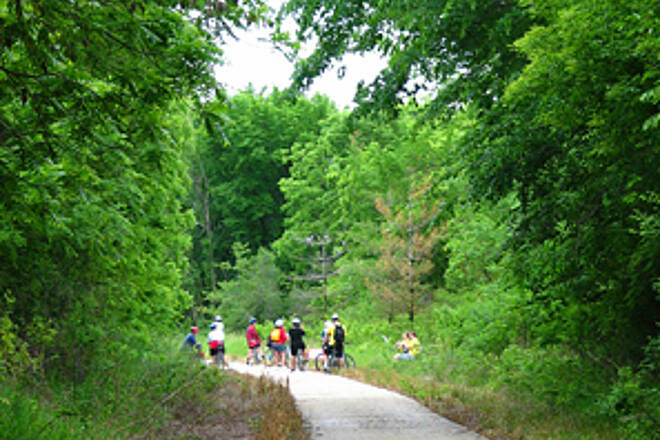 Returning from Michigan to ride the trail in 2014. Simply worth the drive from Michigan. 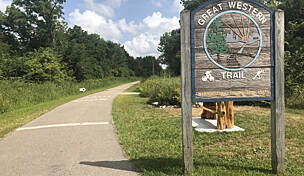 My wife and I started on the Clive Greenbelt at 100th street, and rode west to the Raccoon River Trail. We turned around at Linden where there is a nice picnic shelter and water fountain. Even though the trail is mostly flat there are challenging gradual climbs. In general the trail bed we were on is in fairly good condition, but there are places that are showing signs of age and could be repaired. All-in-all the ride was absolutely phenomenal, and we highly recommend this trail! Construction on the "north loop" of the Raccoon River Valley Trail is continuing over the summer of 2012 with a projected completion in the spring of 2013. Currently, three segments are open. The stretch from Forest Park Museum, just south of Perry, through Perry and west to Dawson was opened about two years ago. 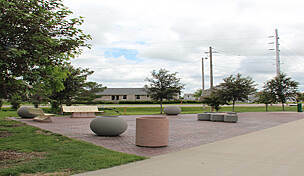 The segment from Waukee northwest to Dallas Center was opened in October of 2012. The segment from Minburn, northwest to Perry was officially opened on June 30th of this year. Construction on the Dallas Center to Minburn segment began on July 13th and is anticipated to be completed by the fall of 2012. Finally, construction from Dawson west to Herndon (where it will connect up with the existing trail) is slated to begin this summer or fall with completion in the spring of 2013. The new trail segments are constructed of concrete and provide for a very smooth, pleasant surface. 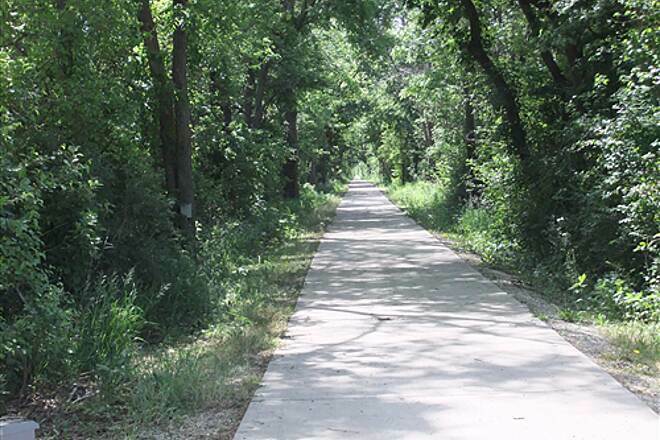 The North Loop takes you through some very scenic rural areas of Dallas County, with most segments of the trail lined with native prairie remnants and stands of trees. 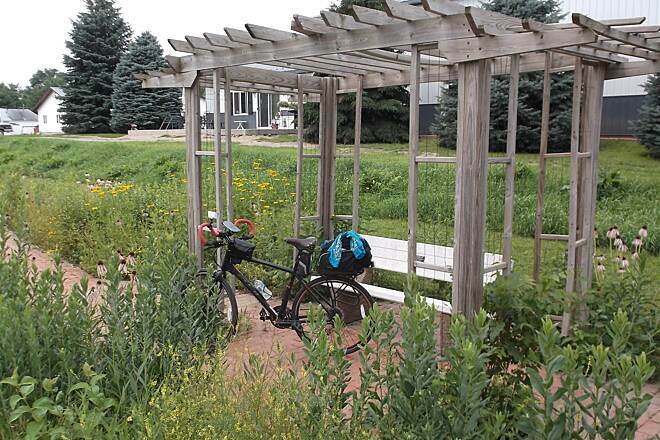 Dallas Center and Perry both have several services (restaurants, beds and breakfasts, retail, convenience stores, etc) for trail users to take advantage of and plans are in the works in some of the other smaller communities to add trail amenities. 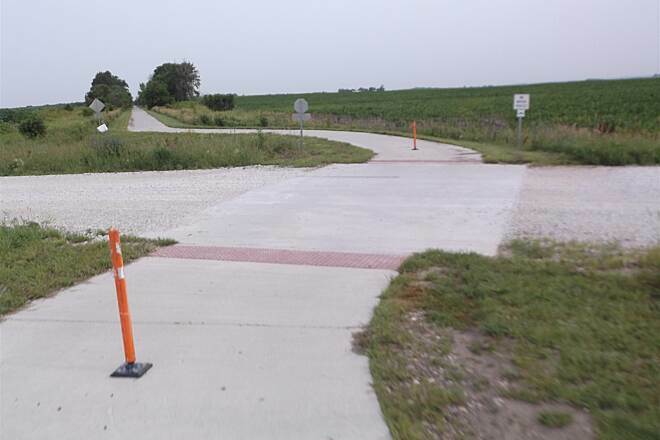 Construction on a new trailhead with restrooms, a shelter and other amenities is currently underway in Waukee where the existing trail and north loop of the trail currently intersect. This is anticipated to be completed sometime during the latter half of 2012. A visit to any segment of the north loop is well worth the effort! 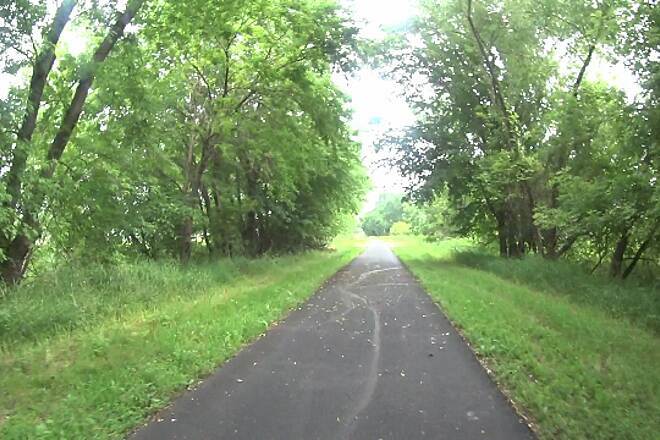 I picked up the trail in Panora, heading toward Des Moines. Very clearly marked trail head and easy to follow instructions to submit money for the usage fee ($2 for a day, $10 for the year). Before you know it you are passing through gorgeous farm land with good shade. Several road crossings that are gravel... Definitely need to use caution as some were a bit of a rough transition, but easily manageable. Plenty of places to hydrate along the way (Linden, Redfield, Adel) before it runs into the Des Moines trail system. Work is well underway on the new "north loop" of the RRVT which will extend from the current trailhead in Waukee to Dallas Center, Minburn, Perry, Dawson, Jamaica and Herndon, where it will connect with the segment that runs between Yale and Cooper/Jefferson. The segment between Perry and Dawson is nearly complete, and should be officially open yet this fall. 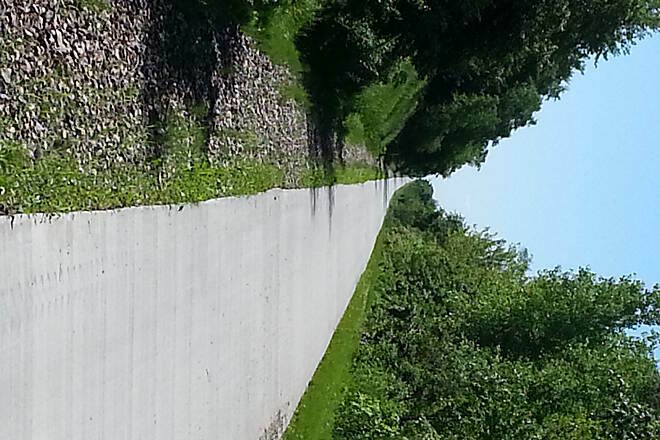 Portions of the trail have been paved within the city limits of Dallas Center, Perry, and Waukee. Bids were let and construction will begin on the segment between Waukee and Dallas Center this fall. Look for the north loop to be completely finished within the next couple of years, weather and funding permitting. 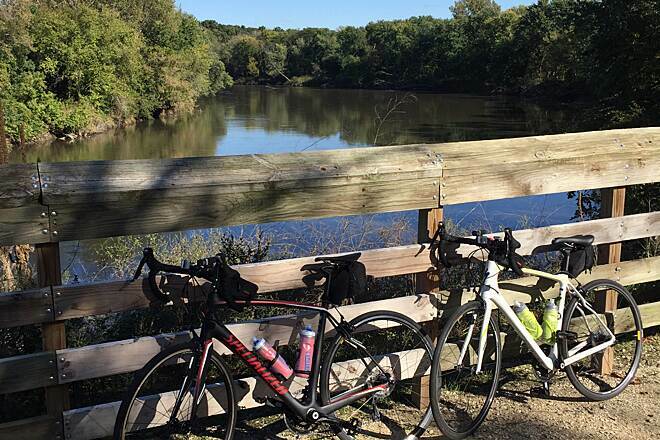 The Raccoon River Valley Trail makes a great destination for bicyclists looking for a leisurely ride through a diverse cross section of Iowa, including the growing suburb of Waukee, to the picturesque county seat communities of Adel and Jefferson, to small towns such as Redfield, Linden, Panora, Yale, and Cooper. 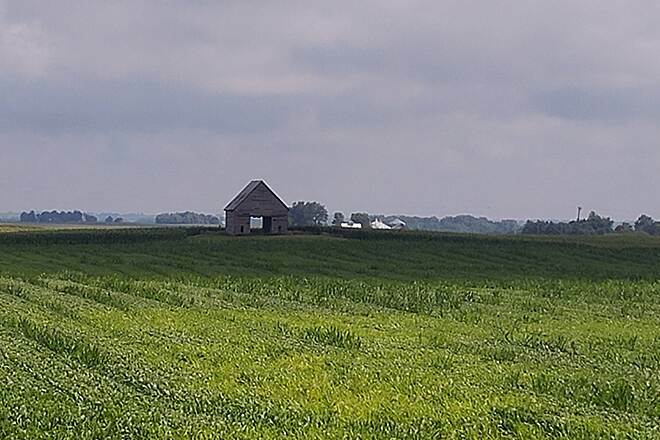 Between these communities you will experience wooded areas, prairie remnants, and agricultural ground. 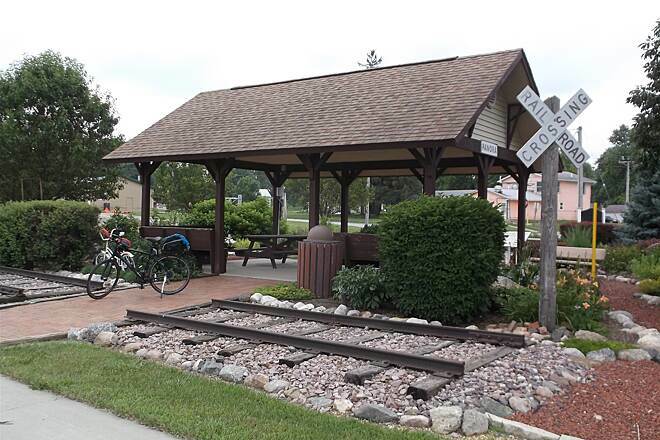 Nearly all of the towns along the trail offer amenities for trail users including dining opportunities, restrooms, bed & breakfasts and a host of other services. 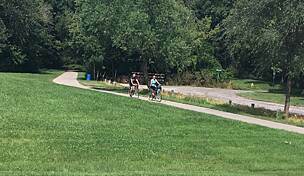 The trail is quite popular with cyclists in the Des Moines metro area and sees heavy use as weather permits year round. 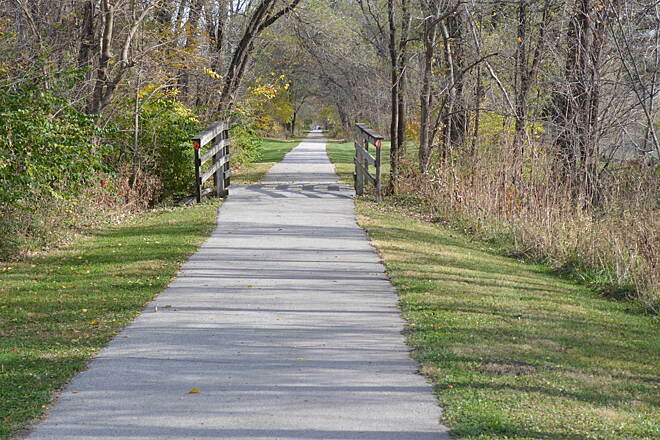 A new 33- mile extension of the trail is being developed from Waukee, through Dallas Center, Minburn, Perry, Dawson, Jamaica and Herndon (where it will re-connect with the existing trail) that will create a nearly 90-mile paved looped trail! Construction has already started along segments of the new 33 mile section, and the entire project is expected to be completed within a couple of years (pending securing the final funding needed, which is nearly complete). As the trail uses a former railroad bed, the grade is quite flat in most places making it a great trail for cyclists of all abilities. 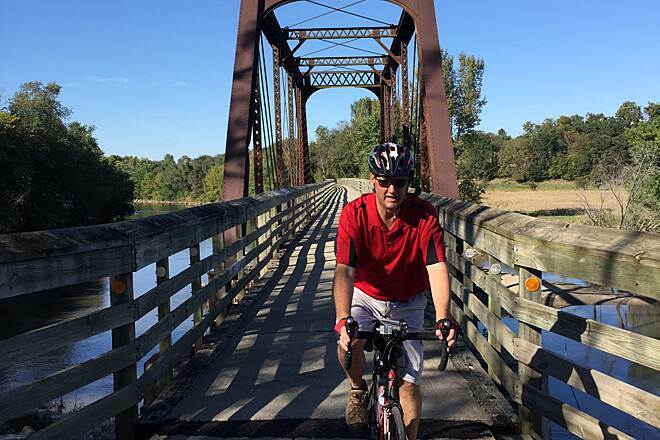 The Raccoon River Valley Trail Association organizes several activities along the trail each year, including rides, a Fall Festival, and an annual banquet. I ride the lower half of the trail all the time, there is no damage from the flooding. There are quite a difference in the sections of the trail. From Adel to Redfield. Many trees along the side, with corn fields on either side. From Redfield to Harlan. Uphill along the river, climbing up to a high prairie. QUite beautiful and varying. While the path is mostly asphault, it crossed many dirt roads, and you have to be very careful getting across them. There is a depot in Redfield that sells pop and gatoraid, and is 'manned' by locals who are very friendly. The trail will be adding another 33 mile loop in 2009 along another rail line, creating a loop. This is a great trail. Paved, scenic and best of all isn't right next to a road. We saw vehicles only in the towns. We rode from Yale to Jefferson through miles and miles of corn and soybeans. This section of the trail is fairly open. The next day we rode from Yale to Redfield and back which is quite different. From Panora to Redfield is almost all in tree tunnels, welcome shade in the hot August weather. The trail is paved. Some is concrete and found some newly laid blacktop near Yale. The trail is very rideable, but the section from Yale to Panora needs some repairs. A person from the county told us these repairs are scheduled to be made soon. 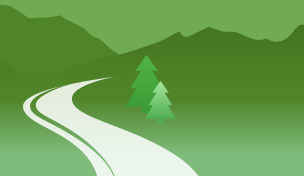 The trail crosses many gravel/dirt roads and the transition from the pavement to dirt is frequently very rocky or has deep soft dirt which could be a problem with a road bike traveling at high speeds. We could see where water had been over the trail, but there was no damage to the trail in the sections we rode. We camped in a RV at Springbrook State Park which is six miles west of Yale. A delightful find as was this trail. 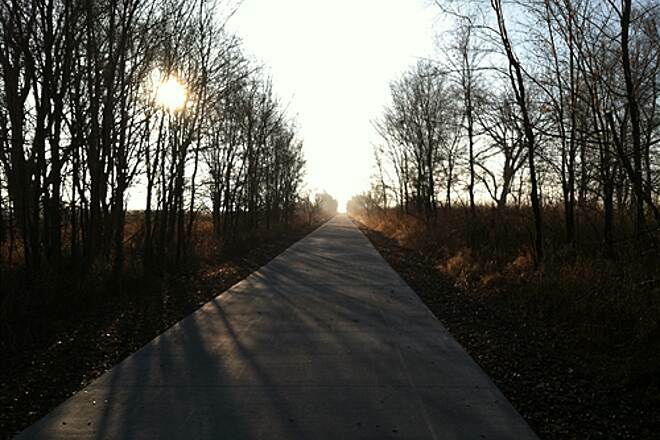 "Much of the trail has been resurfaced, except for a small section in and about two miles west of Adel. " 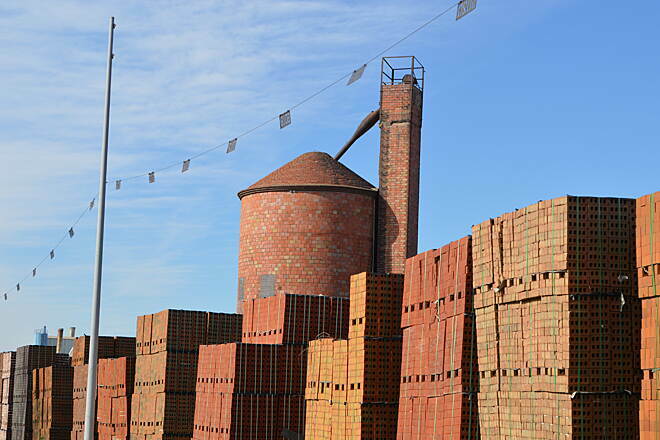 "We rode this trail twice about ten years ago and found it quite enjoyable, especially enjoying a trek into the Heartland Beer Fest and a tour of the sponsoring brewery. Alas, last summer, the brewery was gone and so was about 25% of the condition of the trail. The trail is OK for hard-riding enthusiasts who want to crank out the miles, but for comfort cruisers like ourselves it lacks the scenery and amenities that the best trails in the midwest provide. 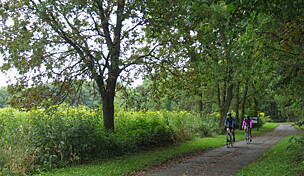 The nearby trail that extends north from Des Moines is a much more varied and enjoyable ride." 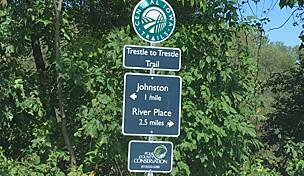 "The heart of this trail is the Waukee to Yale section of 34 miles. Except for a few rough sections and some surface pimples, this is my favorite trail. Paved and fast with real towns and the ammenities that civiliztion affords (taverns, stores, and supplies) inbetween. Scenic and canopied and few long stretches of corn wasteland. Its a shame they do not plow the snow during the winter. 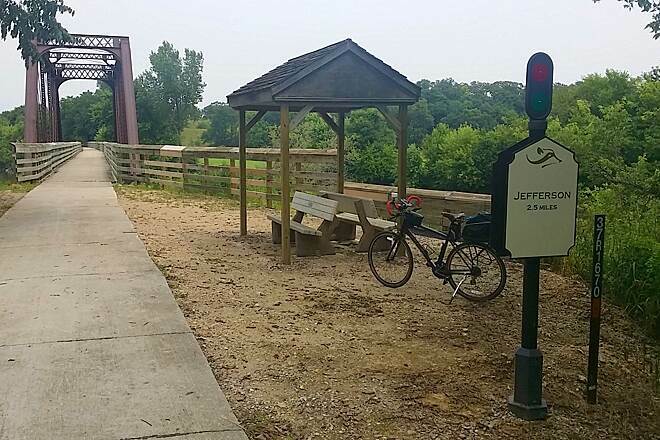 With the connection to Jefferson and the extension to the Clive Greenbelt Trail and Windsor Heights Trail, a real century ride is possible on a there-and-back trail."